Our client, a well known call center in Cyprus, decided to move to Voice Over IP telephony form traditional ISDN telephone lines. The main reason of this decision was the significant difference on the telephone charges over the traditional line. After studying all their options, including an upgrade of their existing telephone system, they decided to proceed with an Asterisk based IP PBX. The overall cost of the system, including any new devices needed for the implementation was a very attractive option. The overall setup of the project took less than a month. The system was designed taking into consideration the performance, power consumption and future expandability. Being a call center, we included to the initial design the resources to upgrade the system in the future and add any other modules that will help the operation of the company. The IP BPX was setup on an existing machine with mirrored hard drives for the operating system. Enough space was preserved for any recordings needed for the campaigns. The system utilized dual network cards to avoid exposure to the outside world and ensure safety, as SIP servers are very commonly attacked by hackers. Additional to that, access rules were created tot he firewall of the system to allow only the local computers to have access to it with authentication. For the call center part of the system, we used the 24 existing workstations and upgraded their soft phones with SIP enabled software. A specific outbound route was created for the agent extensions to use a unique outbound telephone number, and distinguish them from the telephone numbers used in the rest of the company. In case of returned call to the call center’s number, the call was directed to the frond desk, to avoid any problems with the agents. 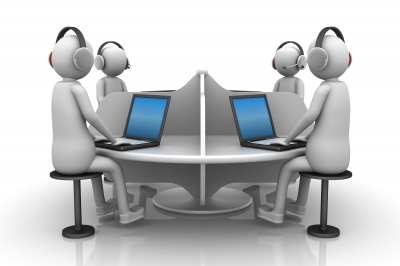 From there if the client is willing to participate in the survey, the call is transferred back to an available agent. The rest of the office uses traditional hardware IP phones by a well known vendor. The telephones have all the features of a traditional telephone system. Additional to that, the system administrator has the ability to monitor the activity of the call center extensions. Detailed call logs are generated by the system based on the given criteria. This allowed our customer to have a better view of the operation of the call center and the work done by the agents. After finishing the setup and testing all the functions, the system was delivered to the customer and is still in operation up to today, with many module additions to ease the operations of the company.